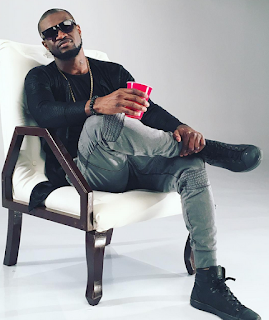 Peter Okoye - It hurts when people think am more a dancer and not a singer - BlogIT with OLIVIA!!! Peter Okoye refuted the claims that he's just a dancer. He said it hurts when people see him as such.In a chat with Hip Tv, the P Square star says he is a very creative person and was responsible for the structure of PSquare's tours. He said "I don't think there are so much challenges because even on tour as P Square, I was the one doing the whole structure and trying to get things done properly.I will say it infront of the camera .I do alot.But for me, there is no challenge because I say the things that I know .I say the things that I let people know.I've been a creative person.I'm a very very creative person but people still look at me as a danceer.It hurts but at the end of the day, I'm still a very creative person.